One of the key requisites for maintaining skin quality is exfoliation; this is a process where the skins natural renewal processes are enhanced and encouraged by the gentle removal of dead and dry skin cells thus allowing newer skin cells to emerge. The main benefits of regular exfoliation are immediate and visible with smoother, brighter skin and more even skin tones. Other benefits include tighter and cleaner skin pores and with less oil that may influence breakouts such as acne as well as the ability to promote absorption of moisturising gels and facial oils. Wet face and gently massage onto skin in a circular upward motion. Rinse thoroughly with water and pat skin dry. The key active ingredient in Bioxyne Toning Foaming Cleanser is Salicylic Acid, a beta hydroxy acid found in green peppers, olives, mushrooms, tomatoes, radishes and chicory. 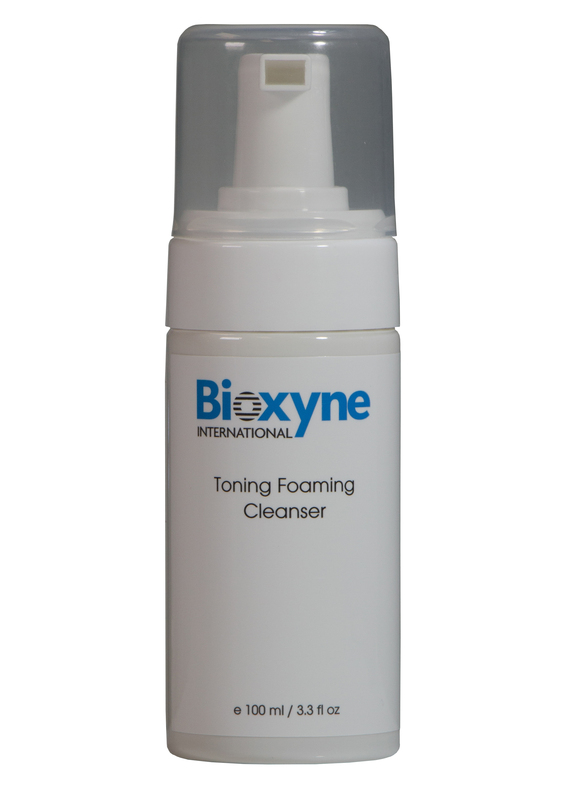 The Salicylic Acid used in the Toning Foaming Cleanser is sourced from White Willow (Salix alba) bark and further processed by encapsulation to ensure the material is gentle on the skin and stable. 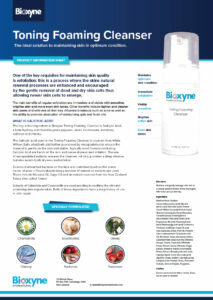 Typically most formulas including Salicylic Acid are harsh on the skin and cause dryness and irritation. The use of encapsulated material ensures the cleanser not only provides a deep cleanse but also avoids both dryness and irritation. To ensure unwanted bacteria on the face are controlled (such as the prime cause of acne – Propionibacterium) a number of natural oil extracts are used. These include Manuka Oil, Sage Oil and an extract sourced from the New Zealand Totara tree called Totarol. Extracts of Calendula and Chamomille are used to assist in soothing the skin and promoting skin regeneration. Both of these ingredients have a long history of use in skin repair.